One of the first addons for HeroPress I ever thought of was sending people to WordCamp who might have a hard time getting there. HeroPress started out to be a voice for people on the fringe of WordPress, and being outside the ability to go to WordCamp practically defines the fringe. I never could figure out the logistics of how to make it work. How is money handled? International law? So the idea languished. On the other side of the world, Ines van Essen had the same idea. She’s far more clever than I though, and she’s making it happen. She’s starting a new organization called DonateWC, specifically to help people get to WordCamp. Not just local WordCamps, but the large ones like WordCamp Europe and WordCamp US. Trips that can cost multiple months, or even a years salary. I am so so so excited that this is happening, Ines is my hero. To get things really rolling Ines needs some funds. I mentioned logistics earlier; if this isn’t handled properly a tax agent somewhere is going to come investigating. A non-profit org needs to be created, a logo needs to be created, a site needs to be built, a board needs to be formed, etc. Getting started costs money. So there’s a GoFundMe page for DonateWC. All things considered she’s not looking for very much money right now, we can DO THIS. If we can make this thing work it’s going to really change lives. Please help out if you can, and keep an eye on the project. The first person to get sent to WordCamp is going to make history. 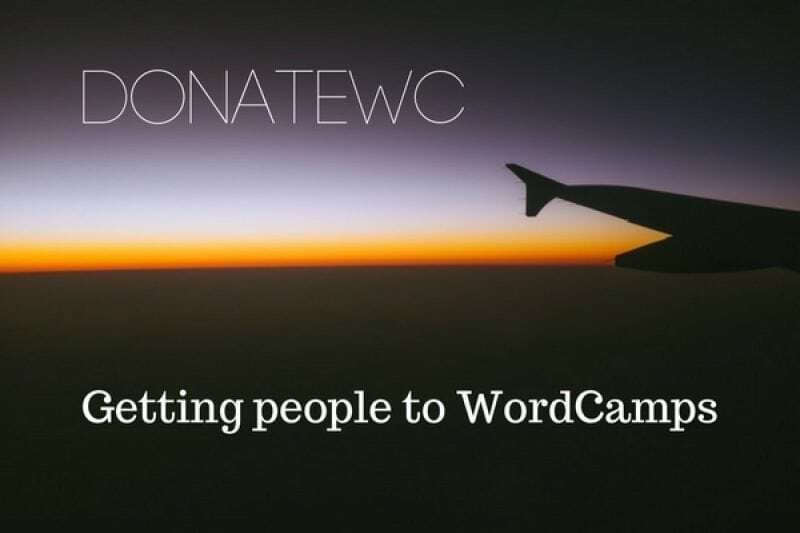 The post DonateWC: Getting People to WordCamp appeared first on HeroPress.